Tomorrow, the lovely and I head down to Portland, and on Sunday morning I will be running the marathon. If any corkscrews are found along the way, yes I am considering asking people as I run the 26.2 miles, I will report back here. However, before we hop on the boat to head to the mainland, we are hopping on a different boat–one of the lobster variety–and heading over to North Haven for a group dinner tonight. It should be a fabulous night with good friends, good food, and good wine. On the corkscrew front, Peter’s BIN contest has been hot and heavy, and while several of the guys have been refreshing madly, I managed to swing a non-buy-it-now deal with someone who was looking to sell a Syroco corkscrew. This one is technically a double, but I couldn’t resist the asking price. 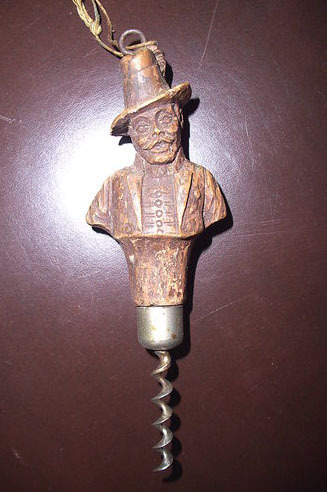 Anyone need a syroco country gentleman corkscrew, I am open to trade offers? I have been spending the last few days (a week actually, and still less than halfway done) cataloging the entire corkscrew collection utilizing Screwbase and Corkscrew Collector. And, as it happened, today I was going through several waiter corkscrews–two of which I had forgotten I had; a Puddefoot with an advertisement for GREENWAY BREW’G CO, and a Davis patent with an ad for MINNEAPOLIS BREWING. This struck me as interesting, as on my watch list on eBay was another Puddefoot–one that I hadn’t seen before–and given that I was using Screwbase, I checked the images there. Nope, no Puddefoot with a knife. There is a version of the Davis that has the blade–which I also have, but the a knife on the Puddefoot, was a new one for me. After thinking about it, I upped my bid a bit, and hoped. Hoped that Tommy wasn’t going to outbid me (or anyone else for that matter). After the dust settled, and the bidding ended, I was indeed the winning bidder. And, while it was a bit more than I wanted to pay–it is pretty darn cool. It will need a little naval jelly and steel wool to get it cleaned up, but it will definitely be staying in the collection! a restaurant collection and a few photos of the C &T corkscrew. 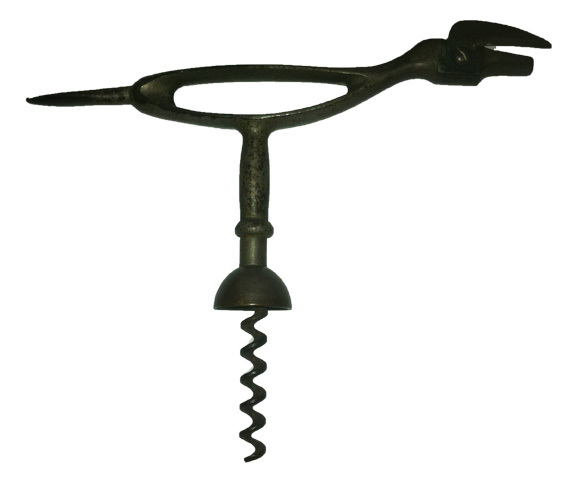 I was contacted recently (relatively recently as the first contact was nearly a month ago, and we just recently reconnected) by a restaurant in NYC looking to add a small collection of corkscrews to their place. With little to go on, except they wanted antique corkscrews and had mentioned a specific figurals, I put together a dozen or so photos and emailed them off. And, yesterday spoke with their wine director about more specifics. Given they are after a “whimsical feel” and figural corkscrews, I have been thinking about what types of corkscrews might fit that description; perhaps some Syroco. A few Austrian pieces will probably fit the bill. Maybe even a Wade Seal. But…these corkscrews need to be relatively inexpensive… Ross pig? Red Devil, Old Snifter? ???? I will be compiling the collection for them over the next few days, and will ask for pictures of the collection in the restaurant once they have them in their hands. What figurals do you all consider whimsical? (for example, the Syroco Codger is a nice figural, but he is more creepy than whimsical). On another note, the seller of the Comedy and Tragedy corkscrew sent pictures yesterday (I had requested them) and the corkscrew is just fantastic. Definitely one that is staying in the collection, and might make the best 6 for 2011–it is just awesome! Before heading to Germany for the CCCC AGM, I received and email regarding my opinions of a brass figural corkscrew. It looked familiar, but instead of the known direct pull example, it had a frame. As it happened, on the final day of the CCCC AGM, there was an auction of several corkscrews from the late Manfred Heckmann’s collection, and in amongst the lots was an identical corkscrew. This particular corkscrew garnered much interest, as many of the collectors handled the piece, and were heard to remark that they had never seen another example of this particular corkscrew. Yes, they were aware of the direct pull, but not one with the frame. 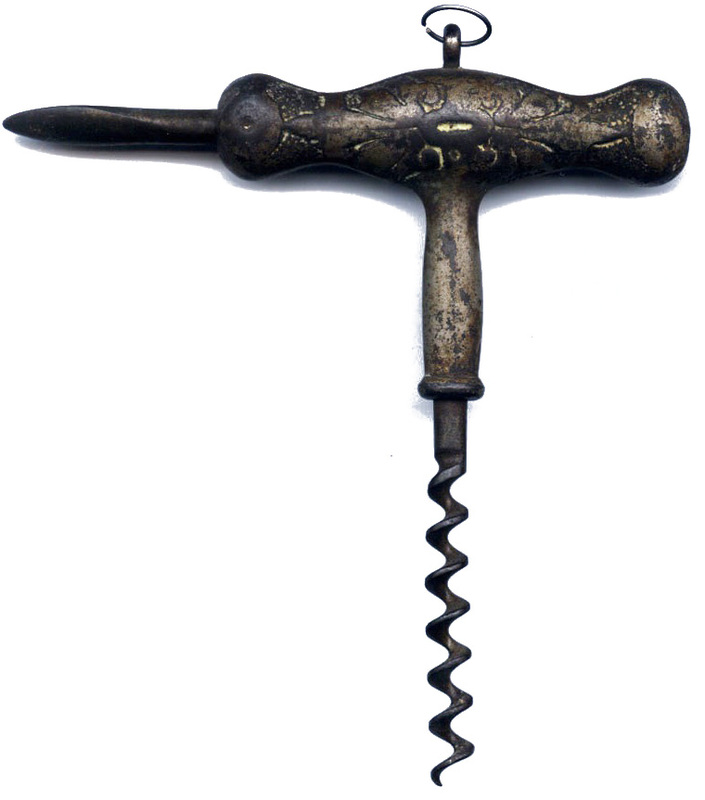 During the auction the corkscrew similarly garnered the CCCC’ers attention (and bids). 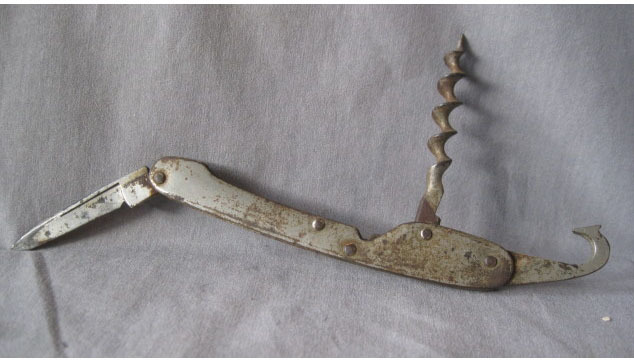 As luck would have it, a couple of days ago, I was offered an example of this same corkscrew–the very one which I received pictures of in the days leading up to the German meeting. This morning, paypal funds were sent, and soon enough the comedy/tragedy frame corkscrew will be arriving on the island. I received a message today from someone who has a Crosby pup for sale. Given I already have one, I have opted to pass on it. Still, the asking price is less than some of the recent sales (1325.00 as the last ICCAuction). If anyone would like a nice shiny pup corkscrew for a grand, let me know, and I will put you in touch with the seller. I have asked for pictures, and when they arrive I will post them here. While I am still on the hunt for a few more Frary corkscrews to add to the collection, and am continuing the hunt for information on James D. Frary and Frary Cutlery, today a deal was agreed upon to acquire an interesting Frary direct pull corkscrew with decorative handle and spike. Yet another “Frary-ation,” it brings the Frary count to 15. 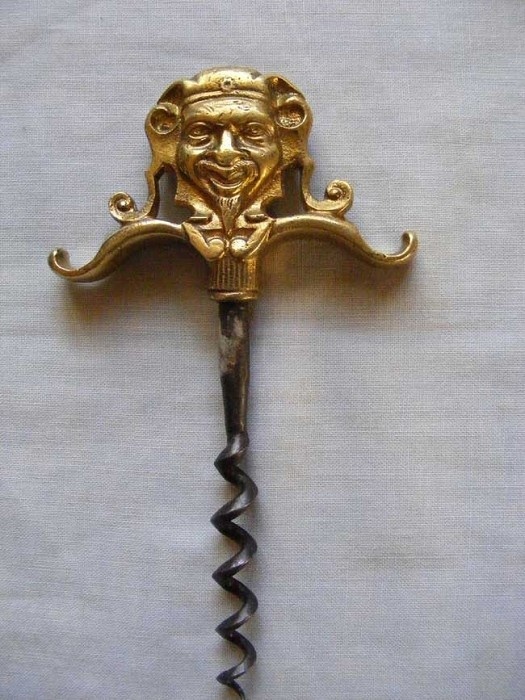 Are there any others out there?–please let me know if you have any variations of the ones that appear on my Frary Corkscrew Website. 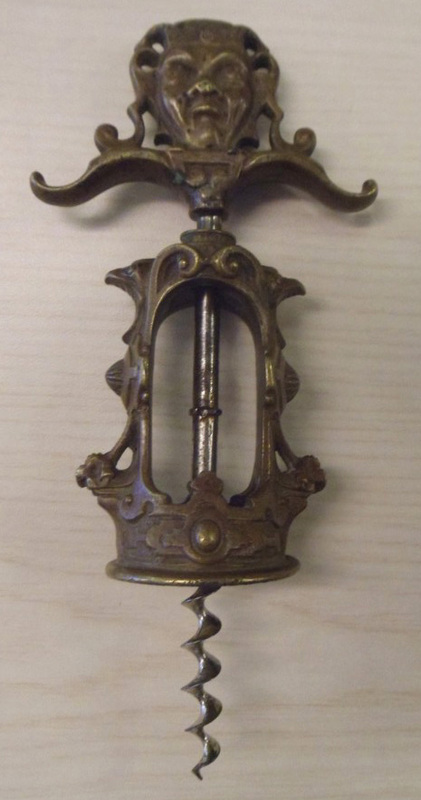 And, in particular, if you have the Frary with the can opener on the handle, I would love to buy it (or trade for it). Yesterday the lovely bride and I made it back home to the island. The meetings were fantastic, and the days that followed traipsing across Greece were fabulous. Now it is back to corkscrewing around (as well as construction, teaching, prepping for the marathon in three weeks, and looking forward to our next adventures). As far as corkscrews go, the Syroco Tramp arrived while we were abroad, it is is in great shape. A couple of years ago in London, I was approached by a unnamed ICCA’er who was very desirous of one, so I am figuring it will end up in his collection–at least he will get first crack at it. If not, I will be open to offers. Speaking of Syroco–today I managed to pick up a couple of signs from the Syroco factory–not sure if they will stay in the collection, or end up in TC’s, AB’s, or RH’s, but we will see after they arrive. They do look pretty cool–according to the seller they are 16 inches wide and 5 inches high. They might make a nice addition to a Syroco display. Just a few photos from the meetings. Yes… I know, I have been a little remiss in providing updates from the goings on at the CCCC and ICCA meetings. And, while I will post pictures when I get back to the states, our trip thus far has been filled with corkscrews, friends, wine, corkscrews, more wine, and some fabulous adventures in Germany and now in Greece. The ICCA meeting ended last night with a fabulous gala dinner at Domaine Gerovassiliou . The wines, the museum, the food, the company, it was simply awesome. I will post photos in a week or so, or maybe before if the Internet holds out at the next hotel.